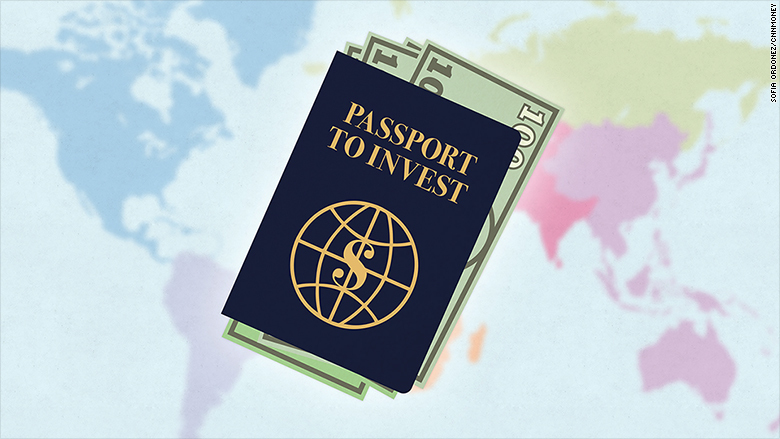 Are you investing enough abroad? Your investments are like your vacations: you probably want to take some of them outside the United States. If you only invest in America, you ignore about half of the investment quality stocks in the world. It's like only looking at half the dinner menu. People always say investing is about buying low and selling high. Lately, foreign markets are where the most obvious bargains are since the U.S. markets are at all-time highs. "If you're starting off today and you're 22, you should buy the cheapest stocks you can buy," says David Morton, chief market strategist at Rocaton Investment Advisors. "The question is not what performs best in 2015, the question is what performs best over the next 10-plus years." Investing abroad is also a smart move to diversify your investments. You don't want all your chips in one market. New investors should park about a third of their portfolio in foreign stocks, experts say, though the amount varies depending on your risk tolerance. 1. Know your age, investing goals and risk tolerance -- that will help you determine how much cash you are comfortable investing abroad. If you're in your 20s or 30s, investing abroad is a no brainer. 2. Invest with a long-term mindset: you shouldn't buy today and sell tomorrow. Think decades. 3. Look for high growth areas. Asian stocks have boomed this year, though there are bubble fears. Europe is having a great year too. European companies' growth is typically less because they're already developed. And Latin America isn't growing much at all. 4. Focus on value. One key measure of value is the price-to-earnings (P/E) ratio. It's high in the U.S. but much lower in many places abroad. (You can check the P/E ratios for foreign stock market indexes on CNNMoney). Risk and reward: In the short-term, international stocks and funds tend to be more volatile -- and require a stomach for more risk tolerance -- than American ones. But long-term, they generally have higher growth rates too. Some popular funds exemplify the trend, such as BlackRock's iShares ETF (EEMA) that tracks emerging market stocks in Asia. Three years ago, it was worth $47 a share. Since then, it's zigged and zagged up to $61, a 30% jump. "To think that 'I'm just going to stay in the U.S. and I'm going to own GM (GM) [stock], but I'm not going to own Toyota (TM)' it's just silly," says Jeff Kleintop, chief global investment strategist at Schwab. "We have world class companies everywhere." Look for international and emerging market fund options in your 401(k) or Roth IRA. You likely have at least a few, such as funds that track the MSCI World Index or MSCI Emerging Markets Index. No doubt, there are daunting headlines across the globe. Greece could default this year, China's stock market could be in a bubble, and Brazil is a mess. But if you're buying now and holding on for the long haul, foreign stocks are cheaper and generally have more room to grow than U.S. stocks. Understanding value: One of the best ways to compare one market to the next is the P/E ratio. Germany's DAX stock market is one of the best performers this year, up much more than the S&P 500. The DAX has a price-to-earnings ratio around 14 now. Emerging markets main index, the MSCI, has the same valuation too. The S&P 500 P/E ratio is near 21, meaning American stocks are more expensive than foreign ones. No one is saying Europe, Asia and emerging markets have smooth sailing ahead. Everyone could be deeply affected by a rate hike from the Federal Reserve later this year. However, cheap stocks and funds are worth considering at any age, but especially for investors in their 20s, 30s and 40s. "You can find companies that are growing faster, and you can find companies that have higher profit margins," says Xavier Smith, investment director at Centre Funds, an asset management firm. "You can find companies with these characteristics with cheaper valuations -- that's one reason why it's important to expand your horizons and invest internationally."